Exercise is an essential component that makes you live a healthy and fit life. Cycling is considered one of the best exercise to fasten your blood flow which subsequently increases your life span. Whereas, cycling may be affected with respect to condition and environment, but there is still an alternate way to do cycling which is by purchasing an Exercise bike. 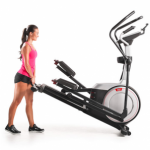 In today’s gym equipment market, there are plenty of brands available that manufactures good quality cardiovascular equipment.NordicTrack also comes in that list and is renowned for making high quality ski machines along with Exercise bikes too. 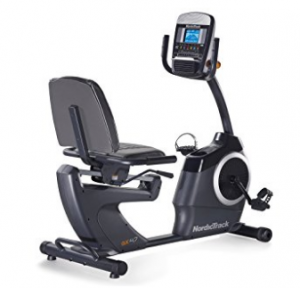 The GX 4.7 Recumbent bike by NordicTrack is one of their newest model which gives you comfortable base and is designed for fitness lovers of every weight, age and size. The bike is very convenient which lets you step on and off very quickly and easily. There is a fan embedded that keeps your body temperature cool during high intensity exercises. 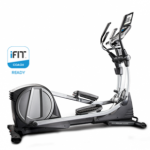 The bike comes with latest iFit technology that let you achieve your goals quickly and easily. The Google map lets you create your cycling course by automatically adjusting the opposition which matches the ground. To make your experience more challenging, some special apps are embedded by certified fitness trainers. Though and can fit with every age type and skill level. 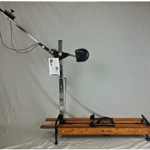 The GX 4.7 Exercise bike comes with high quality solid steel frame and stabilizer rods of 25 inches that keeps the machine steady while exercising. The base is very sturdy that doesn’t produces any type of wobbling or shaking while paddling. If the surface of the flooring is a bit of different, then adjusting the leveler will do up your work which is present under the rear stabilizer. Though on any uneven flooring, this thing will balance out the exercise bike. In a range of height between 4 feet to 6 feet, the seat of the bike is kept extremely adjustable. The bike let you have a comfortable workout experience to fit every people height. The seat can be moved back and front very easily, while making it better especially for taller people by being slightly up to make them get on and off quite easily. A lever is placed on one of the side of seat that can be pushed down to release the seat. By moving it up and down you can get a right fit and lastly by pulling it hard the seat is locked on your desired place. If you are a short heighted guy then you will find it difficult to reach the paddles by stretching your legs. Though in such cases you can sit a bit upfront on the seat which might be uncomfortable and hence won’t let you perform high intensity workout. Having a height of above six feet will also create some difficulties while working out. With a tall height you will have a feel of cramping without a full range of extension of your knee. The knee is going to be slightly bent at the end of the pedal. The console is designed in such a way to control around 22 levels of resistance. With an increment from easy to hard, you can adjust the resistance simply by + and – buttons present on the console or by jumping to any of embedded resistance by pressing the quick jump button. The resistance level shown on the console makes it very easy to adjust the resistance on which you have to work on even while using manual workout option. The console buttons also check the magnets that are present on the flywheel. While adjusting the resistance, they never touch the flywheel, though preventing any wear and tear or requirement of any maintenance in future. The flywheel comes with a weight of fifteen pounds along with a belt drive that gives a consistent and smooth pedaling experience. On high level of resistance, it smooth out the pulse by simply pulling up the pedal through the resistance. The seat of the bike looks more like a car seat as it’s quite large with backrest that provides a support while cycling. The angle of the backrest is kept constant which provides a right amount of comfortable support without being changed. On three piece cranks, there are pedal attached that provides a strong and solid base for repetitive and secure pedaling. With grip there is also a plastic strap that prevent your feet from slipping off the pedal. The bike doesn’t come in its actual shape and needs to be assembled. The assembly consumes around one or two hours with assistance while without that it is usually done around four hours. The five inch display lets you to check your workout progress on the screen. The display usually shows burned calories per hour, pulse, distance, time, speed and resistance. The bike comes with twenty two resistance levels that are magnetic. Around 24 workout apps are embedded on the system. The seat is very large in size and is cushioned to give comfortability. With a step thru design it is easily accessible. Comes with five inch display monitor. Consist of dual sensors for heart rate. The touch control is very responsive. Foot pedals are very ergonomic and sturdy. Has a built in sound technology. Cooling fan is set up which is adjusted easily. A holder is set to keep your water bottle. 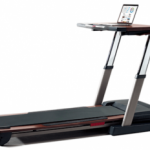 Is Compatible with iFit technology. Can bare weight up to 300 pounds. The weight of the bike is 145 pounds. Comes with a lifetime warranty on frame and one year warranty on components. 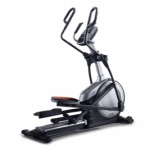 In my opinion, the GX 4.7 Exercise bike by NordicTrack is a good quality exercise bike that gives a very soothing and comfortable cycling experience. When I purchased this bike, it came in a well sturdy box and was shipped within a week which was really good. After opening the box, I found that some of the components are damaged and defected. For which I quickly contacted the customer service because they are very important parts while assembling. After getting a replacement part, I assembled the exercise bike within three hours by taking the help of my father. On my first cycling experience on GX 4.7, I experienced that the seat was very comfortable and the paddles gave a good grip on my feet. The flywheel was turning very repetitively while the resistance level was really up to the mark. One issue I faced was its affordability and cheap plastic components that started producing noise after a month. Overall, a good product and recommended for everyone. Resistance can be adjusted between very easy to hard which makes it compatible for beginners as well as professionals. The bike is very compatible and can be easily adjusted to your desired height. The bike gives you a feel of sitting on a normal chair as it’s very easy to get on and off from it. 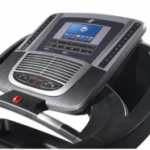 There are pre-set workout programs embedded on the console along with manual programs. 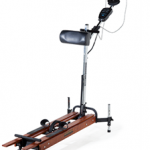 The levelers balances off the bike on different surfaces. To use iFit function along with google maps you have to purchase membership separately. Assembly takes a lot of time and is very difficult to do without assistance. Cable for media should be included to exclude sounds from music. Can’t be used on houses that have low voltage and power outage. Started Nortreadmillsaudit to provide unbiased reviews in the form of Top 10 Lists.